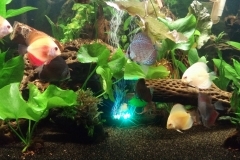 Last month we went over how to raise the fry. This month, we will go over how to grow out the fry. This will conclude our series on how to breed Flowerhorn. 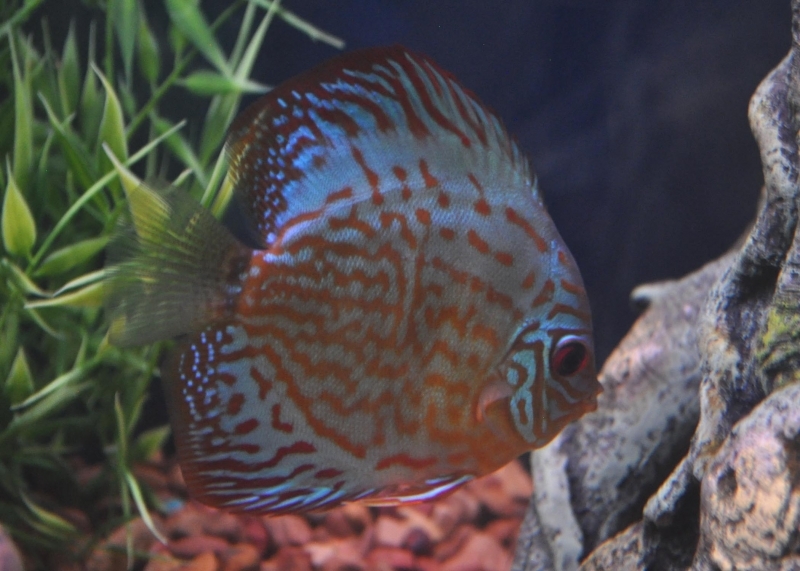 Flowerhorn have large Spawns and there can be 100 to 600 eggs, so you will need at least a 10 gallon tank to start the fry rearing process. We recommend that the set up be very simple, a 10 gallon tank, a submersible heater and a sponge bubble filter. That’s it. Flowerhorn grow extremely fast. If kept properly, they can reach the 1 inch size in two to three months. 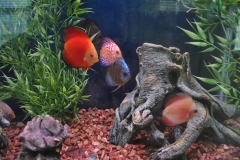 As they grow, you will need to move them into a large tank or spread them out over several tanks. 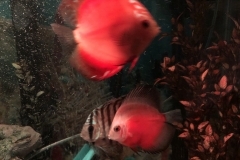 Flowerhorn are extremely aggressive, but can be kept together in large holding tanks until they are around 3 inches. At that time, we move them into 20 gallon individual grow out tanks. When you keep large numbers of Flowerhorn in tanks to grow out, it is important to add lots of distractions and hiding places. For Distraction, we will put three strong bubblers in the tank, The currents keep them distracted and as they have to constantly swim to move with the current, the exercise helps them to grow faster. To make lots of hiding places, we will add in 8 3 inch elbow PCV pipe fittings. 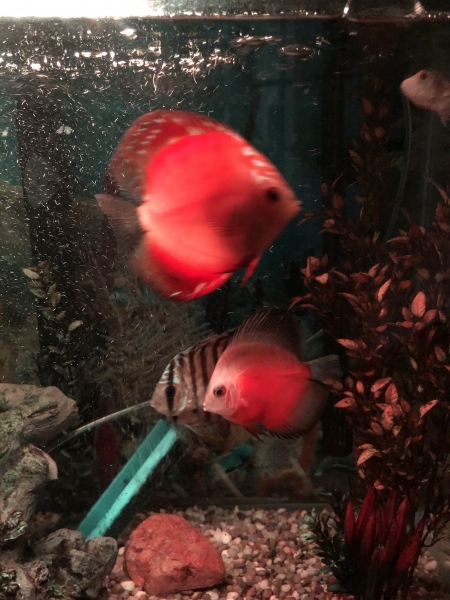 These work well as they stay stable on the bottom and as there is a 90 degree angle, a bully Flowerhorn cannot see one hiding on the other end of it. Food is important. 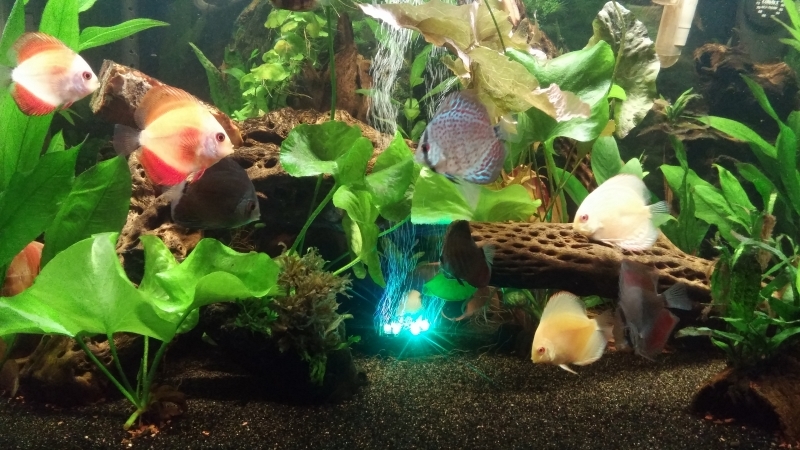 We feed the fry 4 times a day, as much as they can eat in 5 minutes. 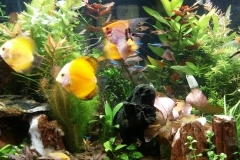 We feed them Beef Heart Flake twice, Egg Yolk Flake one and Freeze Dried Blood Worms once. We feed at least once at night with the lights off. 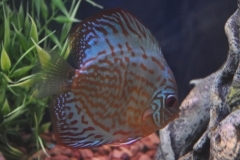 Flowerhorn are extremely hardy. Do not spend a lot of time worrying about the conditions. They will adapt. 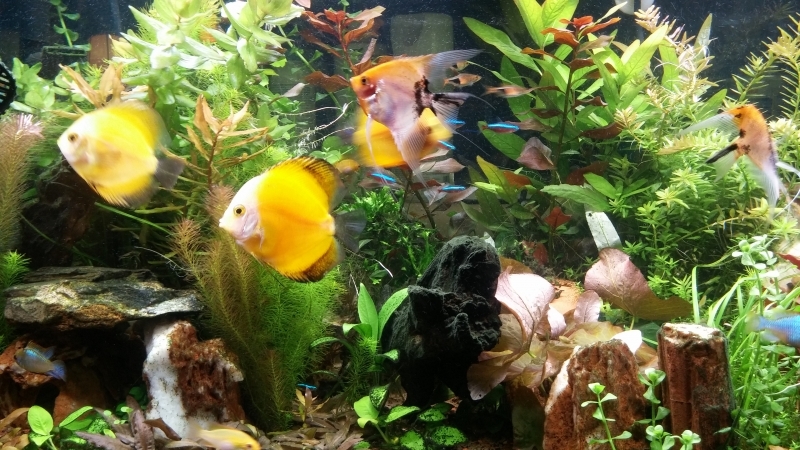 We do recommend a 80% water change once a week for the first three months. Keep the temperature high around 84 degrees to stimulate their metabolism and stimulate rapid growth.